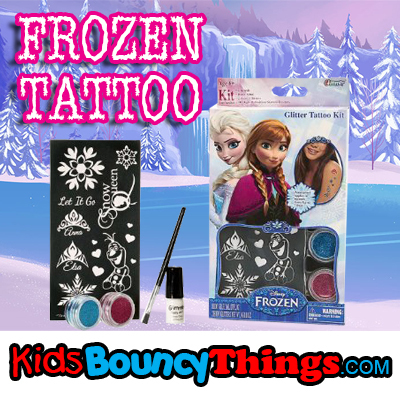 This is the PERFECT addition to any Frozen Party! The kit includes 10 High-Definition Designs, Body Glue, Blue & Pink Body Glitter. Enough for 10 children! Our tattoos are: ~Dermatologist Tested ~Non-Irritating ~Non-Sensitizing ~Hypo-Allergenic THE BEST PART IS THEY LAST 7 OR MORE DAYS!! !